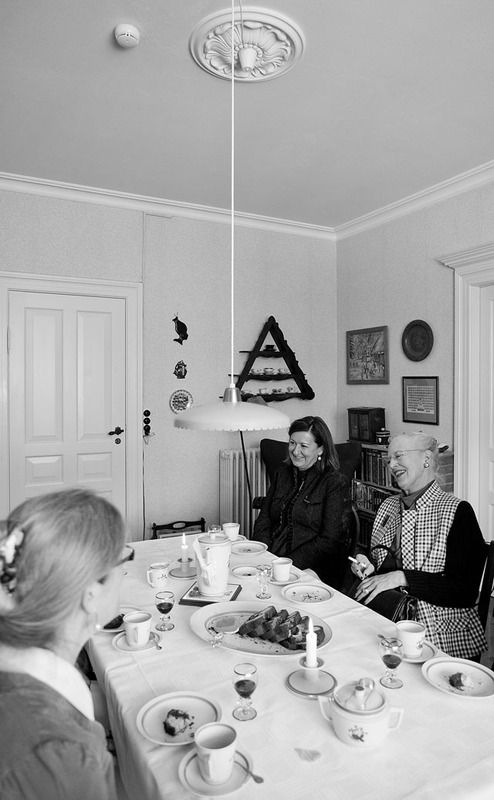 leica.overgaard.dk - Thorsten Overgaard's Leica Pages - The Story Behind That Picture - "My Queen - Margrethe II of Denmark"
By: Thorsten Overgaard. April 16, 2015. 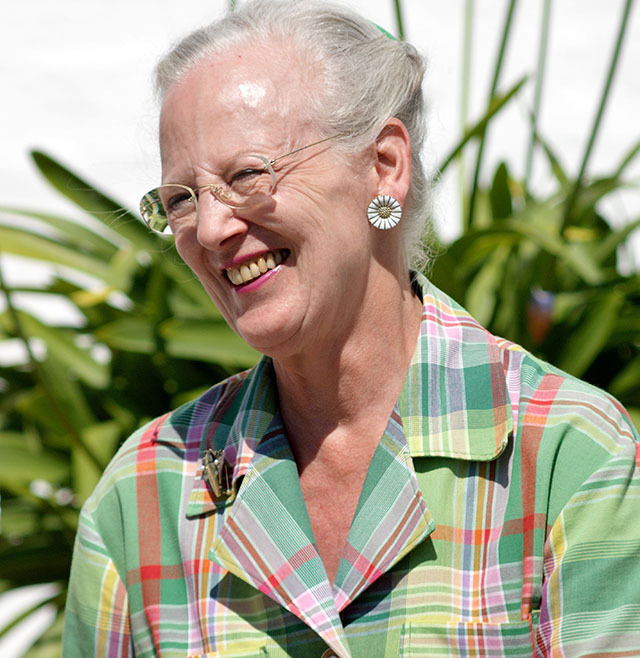 Today is the birthday of Queen Margrethe II of Denmark. I thought I would share my view on her, so I searched my archive for Queen Margrethe and came up with 2,311 images, and then I searched my mind. 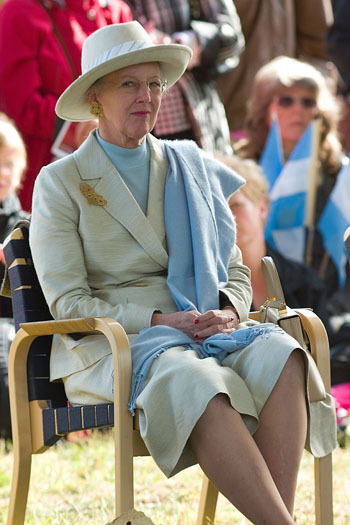 Queen Margrethe II. Leica M9 with Leica 50mm Summicron-M f/2.0. © Thorsten von Overgaard. The queen is a very alert lady. I had a plan to do a certain photograph in the palace with her but the last two times I came to think of it, there were some big events and so they declined. I thought about it two weeks ago again, but then realized it was her birthday and television would be reporting live from the palace for days. What I see in Queen Margrethe is the young teenage princess with the curious mind. I am well aware that what I am working with is a majestic queen in her 70’s. I still see her as a teenager. My queen is an artist in many fields. I dream about a photograph of my queen in a big dress, with her royal jewels, in her study in the castle, casually smoking and daydreaming by one of her drawings. I imagine she would face the light streaming in from the blue sky over the kingdom while the cigarette smoke makes a thoughtful pattern in space above her. I hope what people would see in such a photo is the young princess and the older queen. But that is a future project. 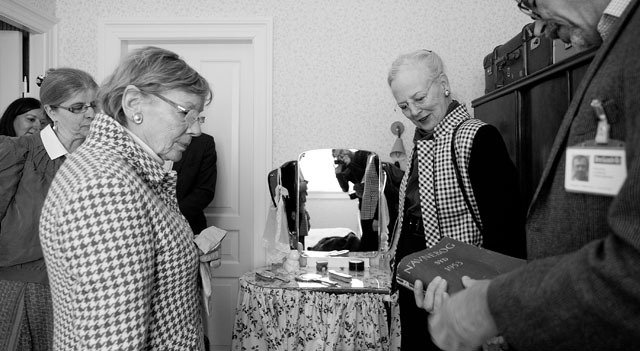 Queen Margrethe II with Museum Director Thomas Bloch Ravn. Leica M9 with Leica 90mm APO-Summicron-M ASPH f/2.0. © Thorsten von Overgaard. My queen is one of the most curios and knowledgeable souls I know. When she enters a space she is noticing you, yet never looking at you or talking with you. But there is always an unspoken acknowledgment. I don’t think we ever spoke to each other, Margrethe and I. “I can, of course, think what I want, just like everyone else. 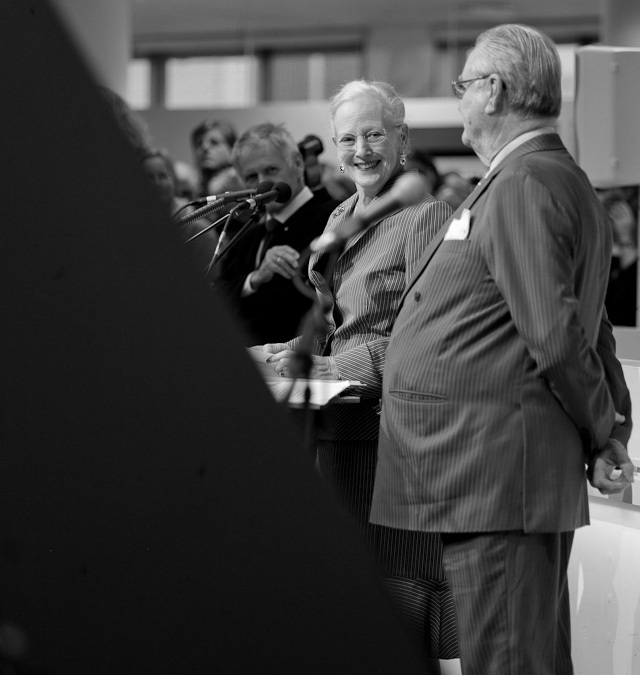 Queen Margrethe II of Denmark and Prince Henrik when opening their art exhibition at the ARoS international art museum in Denmark, presenting his poems and sculptures and her dress designs, drawings, paintings ... and more. Leica M9 with Leica 50mm Summicron-M f/2.0. © Thorsten von Overgaard. You know that she notices you, and remembers you. Maybe she pays great interest or she notices you and forgets you. But she doesn’t miss a beat. When I ramble around as quiet as I can, photographing, I know she is aware of my every move but the agreement is that I am not there. She is the queen and I am reporting. Even when I stumbled into her once or twice because I saw a really great angle that required me to be in the space she wanted to occupy in the moment right after, we both pretended I wasn’t there. 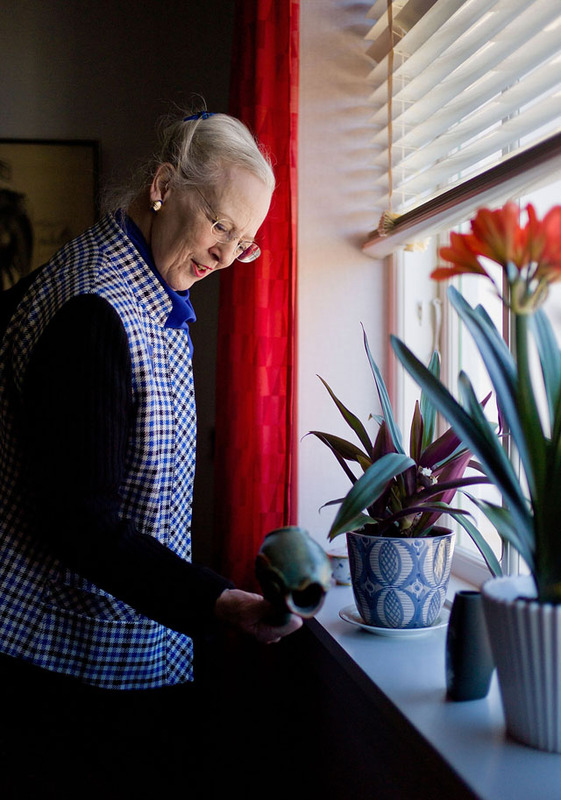 Her Majesty Queen Margrethe II studying the brand of a vase. Leica M9 with Leica 35mm Summilux-M ASPH FLE f/1.4. © Thorsten von Overgaard. 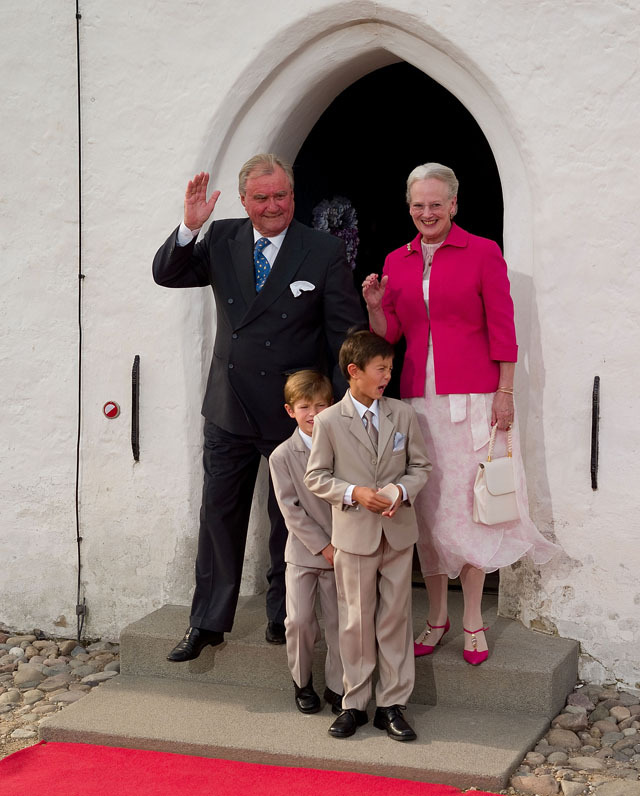 HRH Prince Henrik and Her Majesty Queen Margrethe II of Denmark with two of the eight grandchildren, Prince Nikolai and Prince Felix. Leica R9 with Leica 35-70mm Vario-Elmarit-R ASPH f/2.8. © Thorsten von Overgaard. I suspect she knows a lot more about my camera than you would think. She knows more and has more opinions than she airs. So much I know. I wonder if she agrees with the angles I choose, and sometimes I feel she has an opinion about a better angle. But she lets me do my thing and she does hers. The key to the Queen’s success is that she understands achieving success as a royal in Denmark requires behaving as if you aren’t Royal. Her Majesty Queen Margrethe II of Denmark. Leica M9 with Leica 35mm Summilux-M ASPH f/1.4. © Thorsten von Overgaard. 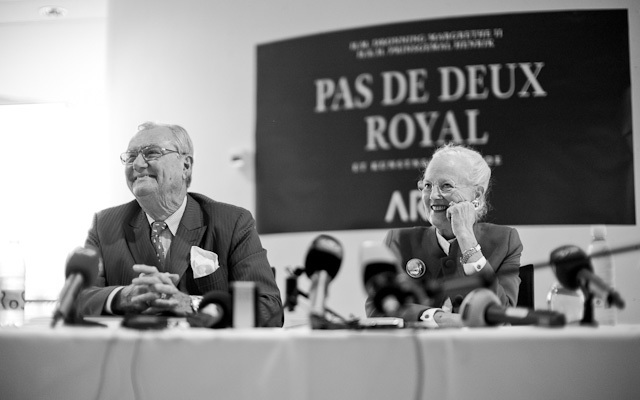 Her Majesty Queen Margrethe II and HRH Prince Henrik of Denmark. Leica M240 with Leica 90mm APO-Summicron-M ASPH f/2.0. © Thorsten von Overgaard. In Copenhagen there is the Old Kings Road (Gl. Kongevej) that actually used to be the road exclusively for the king. Today those roads are jammed by traffic because everybody can drive them. The Danish tax system and the school system are designed so everybody is on the same level. Danes don’t believe anybody is more than others, but there are many exceptions where Danes admire people for being special … as long as they are ordinary. Behave as if you aren't Royal: The Crown Prince Couple Frederik and Mary, and Queen Margrethe in a glass elevator, waiting like any other family for the elevator to depart ... with a crowd watching outside. Leica M240 with Leica 90mm APO-Summicron-M ASPH f/2.0. © Thorsten von Overgaard. There is not a lot of distance between the queen and the people. She may arrive in the Royal Yacht, greeted by children and a crowd with flags. But later in the day you may stumble into her in a department store. The rules are very simple if you do. It’s not an official visit, it’s the queen shopping and enjoying her life as an ordinary Dane. 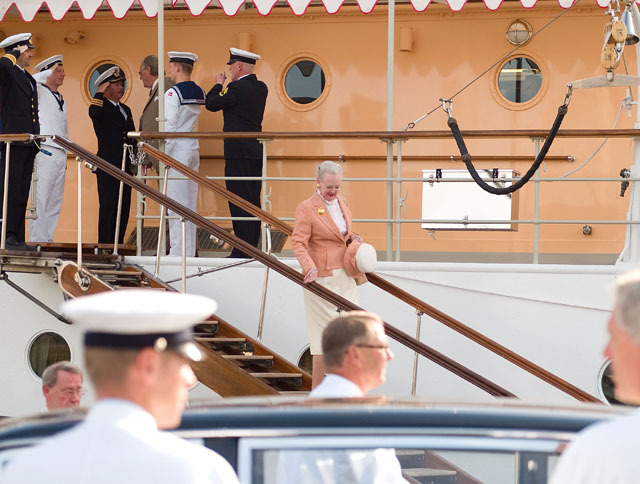 Queen Margrethe II leaving the Royal Yacht. Leica R9 with Leica 35-70mm Vario-Elmarit-R ASPH f/2.8. © Thorsten von Overgaard. She is very fashionable, which is quite a balance in a country where women don’t always wear dresses and hardly anyone wears a hat. The queen is aware of this, as she is aware that people particularly in Germany, Spain, Australia, USA, United Kingdom and other places watch her every move in the royal press. It’s a balance between being a queen in Denmark and a royal in the world. 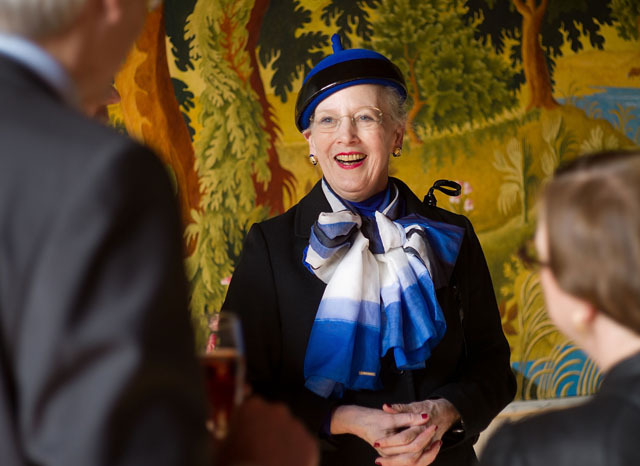 Queen Margrethe II of Denmark is known for her majestic fashion statements. Leica R9 with Leica 35-70mm Vario-Elmarit-R ASPH f/2.8. © Thorsten von Overgaard. The queen smokes “wherever there is an ashtray” and in today’s non-smoking world she gets what you could call a royal treatment when she is treated with a chair and an ashtray in places where smoking is never allowed. It could be an invitation for others to smoke, but I’ve never seen it happen, and I never felt invited to light one up myself even though I was next to the ashtray. 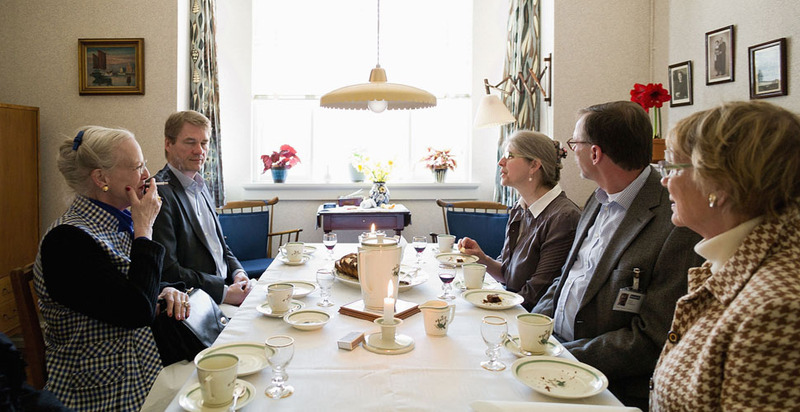 Margrethe pays admirable and genuine interest when she meets experts who explain what they have been working on in some dusty laboratory or underground, for a lifetime. Often people have gone to lengths to get special silverware, cars or paintings when she visits. I like and admire her genuine interest and I’m often surprised that she notices things and actually knows about the subjects. I like and admire Margrethe's genuine interest and I’m often surprised that she notices things and actually knows about the subjects. Leica M9 with Leica 35mm Summilux-M ASPH f/1.4. © Thorsten von Overgaard. Leica M9 with Leica 35mm Summilux-M ASPH f/1.4. © Thorsten von Overgaard. She will share her knowledge when she stumbles into something she finds interesting. 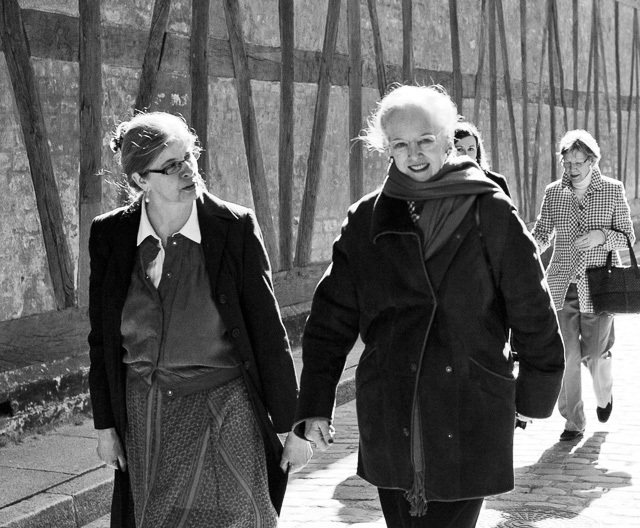 She often shares stories and anecdotes, or simply historic knowledge, with the people around her. I think she is a storyteller. She likes to dance and sing and make fun. She is not a serious person. 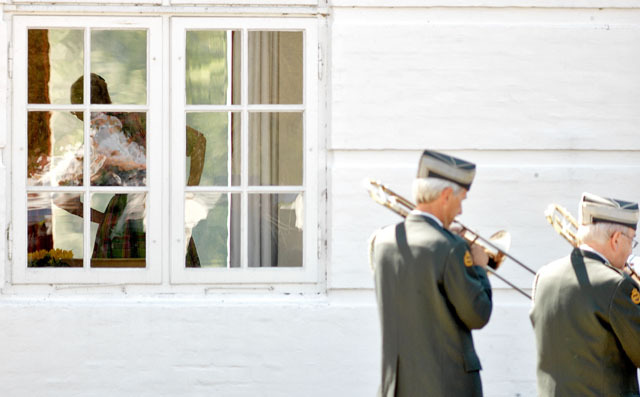 The Queen dancing inside to the band playing music outside the front door of the castle. Leica R9 with Leica 400mm Telyt-R f/6.8. © Thorsten von Overgaard. That’s how most Danes feel. It’s not the Queen, it’s our Queen. 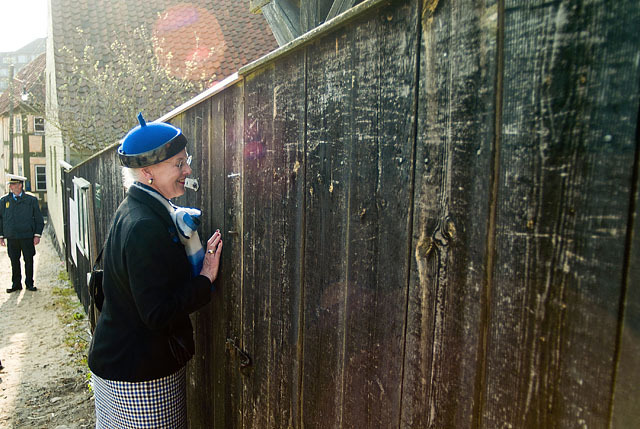 Queen Margrethe found a crack in the fence and wants to see what's in there. Leica R9 with Leica 35-70mm Vario-Elmarit-R ASPH f/2.8. © Thorsten von Overgaard. 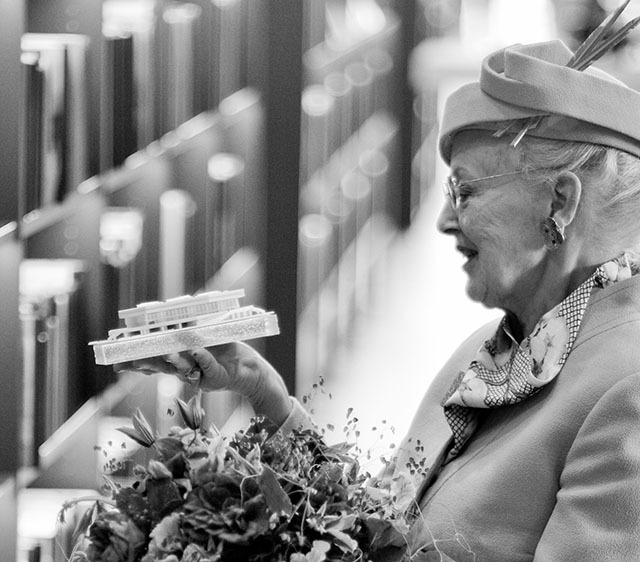 Queen Margrethe II of Denmark. Leica M240 with Leica 75mm Summilux-M f/1.4. © 2016-2018 Thorsten von Overgaard. 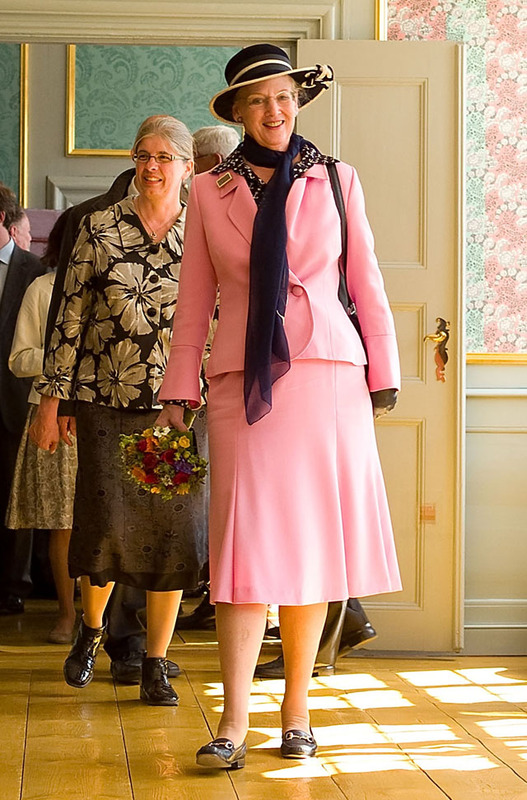 Her Majesty Queen Margrethe II of Denmark. Leica M9 with Leica 21mm Summilux-M ASPH f/1.4. © Thorsten von Overgaard. Her Majesty Queen Margrethe II of Denmark. One morning in the Easter my daughter Caroline (who was then 9 years) and I decided to go shop for some crayons in the local artists store. The streets were deserted this early morning, so I noticed the only other car in the street approaching as we parked: The Rolls Royce with the crown on the plate. Our always fast-moving queen jumps out the car and into the store, and the security guard sits himself down in a chair outside. We are not as fast as our Queen, so we arrive to the door half a minute later. The security guard had noticed the Leica I always carry so he follows me to make sure I don’t do something stupid. We finish our business in the store, and so does the queen. I feel like a really good dad making the queen available to my young daughter. Safely back in our car, I ask my daughter, “How was it meeting the Queen” and after a long while she answers “It was ok, but the security guard was weird”. Want more? ... Visit the official website, The Royal Family. Her Majesty Queen Margrethe II of Denmark. © Thorsten von Overgaard. 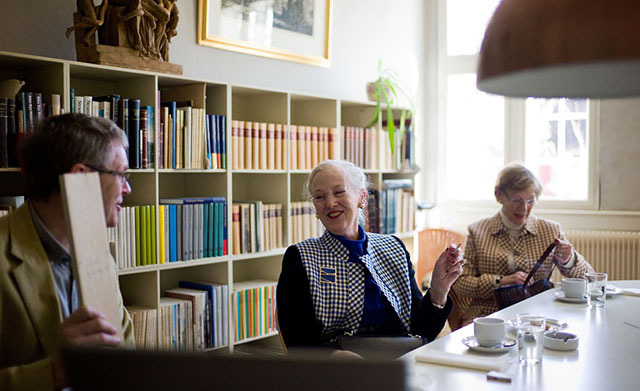 Above: Her Majesty Queen Margrethe II of Denmark at a private visit to The Old Town Museum. Leica M9 with Leica 21mm Summilux-M ASPH f/1.4.